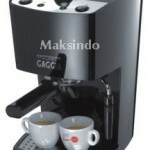 The new Espresso Gaggia line combines tradition with innovation and design. The elegant and essential black colour bring out the brilliance of the stainless steel details. New Espresso Pure is fitted with the traditional Gaggia’s chromed brass filter holder and a new stainless steel boiler to guarantee the professional quality made in Italy. 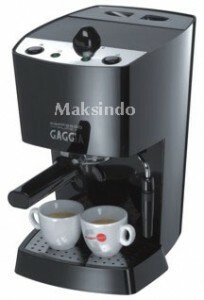 Dapatkan Mesin Kopi Espresso Gaggia Pure ini hanya di Maksindo Homeware.